This is a highly skilled trade and requires anyone within it to have a natural affinity with dogs. Patience, physical fitness and good communication skills are also needed to be successful at this job. There is no substitute for natural talent in this industry. In order to be able to train a gun-dog, a person must have a relatively good grasp of the shooting environment and the role that the dog and his trainer will be required to play. Although this profession seems old and steeped in tradition, gun dogs have only existed in their present form for a relatively short time, compared to other working dogs. Certain breeds of dog are more adept at performing a certain task than others, so selective breeding has resulted in a large group of dogs with skills that are used for flushing out game, tracking game, and retrieving game. 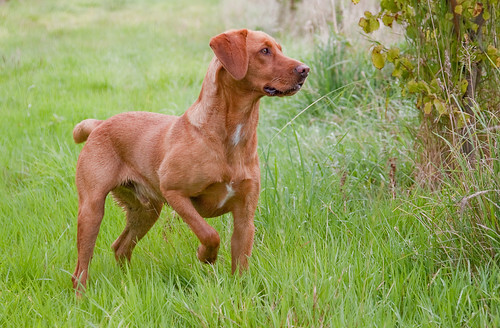 Commonly used gun-dogs include retrievers, spaniels, pointers and setters. It is the role of the gun-dog trainer to ensure that the dogs serve the sportsmen well. This can be quite a high pressure job especially when there are a lot of people on a particular shoot. The dog handler needs to be sure that he has complete control over his dog. An entire days shooting can be ruined by an unruly dog. A lot of training and experience is required before a person is ‘valid’ as a gun-dog trainer. There is no one specific route to becoming a gun-dog trainer. Many people begin as kennel-hands and then decide to specialise in the training of gun-dogs. Other people become interested through actually being in the shooting society already, others have already trained dogs in other areas and have decided that they find the gun-dogs more of a challenge. The necessary training is nearly always acquired through working along side of professionals, there is no formal qualification to say that someone is a certified or validated gun-dog trainer. A lot of people train gun-dogs as a hobby rather than for a living, and the majority of professional trainers combine gun-dogs with other things such as boarding kennels to supplement their income. The salary of a person who relies solely on training gun-dogs is likely to be very poor, however a successful trainer who has a good reputation and their own premises can make a handsome living. The reputation of a gun-dog trainer relies mainly on competitions and field trials. A lot of people who enter field trials are amateurs who are doing it as a hobby, but if a person becomes recognized for constantly achieving at such events their reputation can be elevated dramatically. A lot of revenue can be sought from training dogs for other people. In order to reach the top of this profession it is important for a gun-dog trainer to own some land with kennels, this can take many years to acquire, but the benefits of being ones own boss outweigh those of being an employee in this profession.